The candidates who are waiting for the result of BAMS/ BHMS Entrance must keep a check on the official website of HPU. As soon as the university released the Notification for the admission test on Bachelors in Ayurvedic and Medical Surgery, thousands of interested candidates applied for the same through online registration. The exam is basically for ayurvedic doctors. The entrance test was successfully conducted on 17th July 2016 as per scheduled by the university to all the eligible applicants. After the completion of the examination, the Answer key was also released on 21st July so that the candidates who had written the test can evaluate their performances in the exam. Now, there is an update that the HPU BHMS / BAMS Result 2016 is scheduled to be released on 30th July at the official site. The result is expected to come in the first week of August or in the last two days of the month of July. Himachal Pradesh University (HPU) was established in the year 1970. 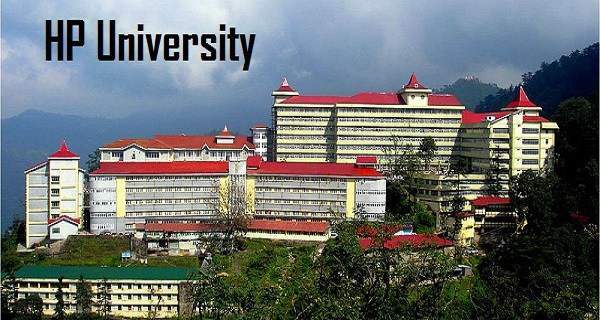 The university is situated just a few kilometers away from Shimla. Being the multi-faculty and the affiliated university of the state, HPU provides a pleasant atmosphere to pursue the higher studies. It offers different Graduation and Post-Graduation courses every year. The University conducts entrance exam every year to select the eligible candidates to pursue various courses offered by the university among all the interested candidates. For the admissions into the BHMS / BAMS for the academic year 2016-17, it has conducted the entrance test, and the Result is going to be declared by the end of July month or at the beginning of August. • Visit the official site of Himachal Pradesh University i.e. www.hpuniv.in. • Now, access the ‘Results’ link that is available on the homepage. • Enter all the asked details like your application number and password in the fields provided. • Check your Result that will be displayed on the screen. • Save it or take a printout for future purposes.